Making your own fizzy drinks isn’t really new. With a variety of mechanisms on the market, guaranteeing to give your drink a little added fizz, there isn’t really a person around who hasn’t tried to make their own soda beverage at least once in their lifetime. But is making your own soda drinks a viable alternative when it comes to saving money in the workplace? And can a SodaStream vending machine be the next step to helping your workforce get their fix of the fizz, in a healthier and less costly manner? Read on to find out. Launched in September last year, the SodaStream Fountain was designed with the intention of replacing the common vending machine as we know it. 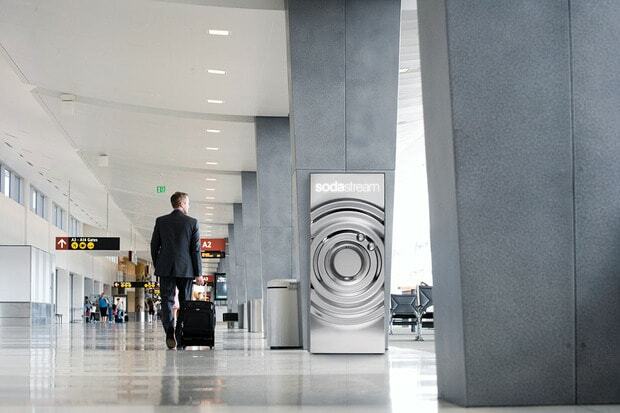 The vision was that there wasn’t really a reason for people in the office, at the airport or in another public space, to go to a vending machine that is half-filled with bottled water, pay a high price for their drink and then just throw it away. 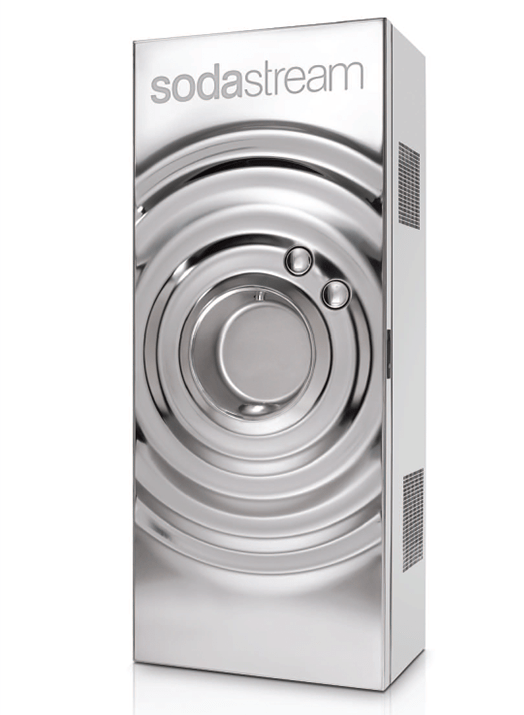 To address this vision, the SodaStream deisgn team attempted to create a machine that supplies already chilled and filtered water that would be available to consumers in both a still and sparkling variety. The first ever SodaStream Fountain was made entirely out of stainless steel and crafted into a curvy design that really catches the eye, while emulating a drop of water’s ripple effect. To make use of the innovative SodaStream Fountain, users bring their own bottle or cup. The machine itself has only two buttons – one for still water, and the other for sparkling. Users place their glass and push the button for their water of choice, until their bottle or cup is full. Not only is it incredibly simple, but it allows users access to clean, chilled water with little to no effort and without adding to the millions of fizzy drink and water bottles that are thrown away every single year. In the economically tempestuous markets of today, it’s wise for companies to look for solutions that save them money in the long run, while simultaneously providing top quality utilities to their employees. As access to clean water is a basic human right – and one that can improve the wellbeing of your workforce – it only makes sense to invest in a viable hydration solution. The SodaStream Fountain not only gives your employees the choice between still and sparkling water, but it’s unique functionality means that you cut down on bottle wastage and costs associated with running and restocking a traditional vending machine. Something like the SodaStream Fountain isn’t just good for the workforce and the environment. It can also be good for your company’s bottom line, making it a sound investment for any employer.